In a Land Rover you can literally drive in the wheel-tracks of history. Down quiet green lanes, you can re-trace ancient routes which were the very lifelines for generations of travelers. These ancient roads offer Land Rover owners a rare and privileged opportunity to view breathtakingly beautiful areas that no-one other than very intrepid walkers, hill farmers and forestry workers are likely to share. The object behind the navigational challenge is FUN! The day will start at the Land Rover Experience centre at Rockingham Castle on the A6003 near Corby. After signing on and coffee and biscuits, each team will be briefed on the day’s events. You will be given a “Tulip” style road book, which will contain your route and other information i.e. map references etc. In the road book will be a Question sheet because along the route you will have certain clues to find, write the answers down to score points and win prizes!! 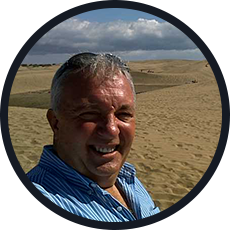 The event will eventually lead you to Tixover quarry where there will be more clues and a chance to do some off-road driving under the watchful eye of experienced marshals. The routes that Protrax Overland Adventures will use in the Northamptonshire, Leicestershire and the Rutland area are skilfully planned so that over the course of the day they vary from scenic and challenging lanes with unique views through to challenging “off-road site” drives. This will become more apparent as we take you through an impressive variety of terrains from forest to hilltop, down narrow winding country lanes and overgrown tracks (light scratches can occur) and back down to surrounding Downs and gravel trails while briefly visiting or passing places of historical or local significance. These events are ideal for beginners and newcomers who want to try out themselves and their vehicles before venturing further afield. I would recommend it for those who are looking for a “blood & guts” let’s winch across the UK type of event, because on the off-road sites we use you can “play to your hearts content!! What makes the area we will be using so attractive as a driving environment is that the lanes sit on a variety of terrain ensuring little damage to the trails and the correct amount of difficulty for the beginner. Whilst this is not a physically difficult terrain it is technically very demanding – brain before brute force as it were! 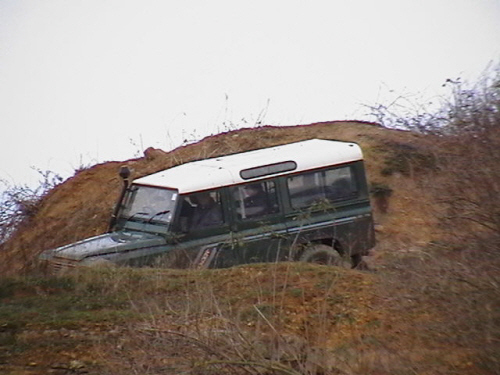 But again for those who want to design their own challenge we have an excellent off road site to visit! The format for these days is 1-4 people to a vehicle, sharing the driving with their partners over the day. It is also worth noting at this point that 4 x 4 owners with any make of vehicle are welcome to accompany us on these trips as the nature of the terrain is suitable for all types of vehicle and varying standards of driver ability. You can also be sure that when the ‘going gets tough’ the professionals are on hand to ensure that everyone makes it through safely to home camp! The cost of this day per vehicle is £40 and excludes any food or accommodation but does include expert instructors, well-equipped support vehicle, all site fees and well-researched lanes. For further information on relevant costings please call the LRO Adventure Club Hotline (07973 116681) and we will tailor a package to your specific requirements. Upon receipt of a booking form we will forward joining instructions and a recommended list of accommodation. Starting at Rockingham castle and following trails through the Welland Valley and into ONE of the UK’s most adventurous 4x4 sites near Stamford, you and your team take your own leisurely time trekking along some wonderful green lanes and into off road sites.